After settling, on the driveway with no supplemental air flow, fan on full, OAT 22°, on a digital manifold set for R134a, the low side pressure was 255kPa, evaporator outlet 12.9°, displayed superheat 7.2°. 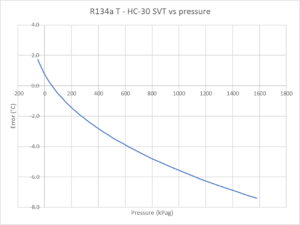 At this pressure, R134a calibration reads 2.0° high, so evaporator superheat is corrected to 5.2° which is quite within expectation for a TXV controlled expansion. 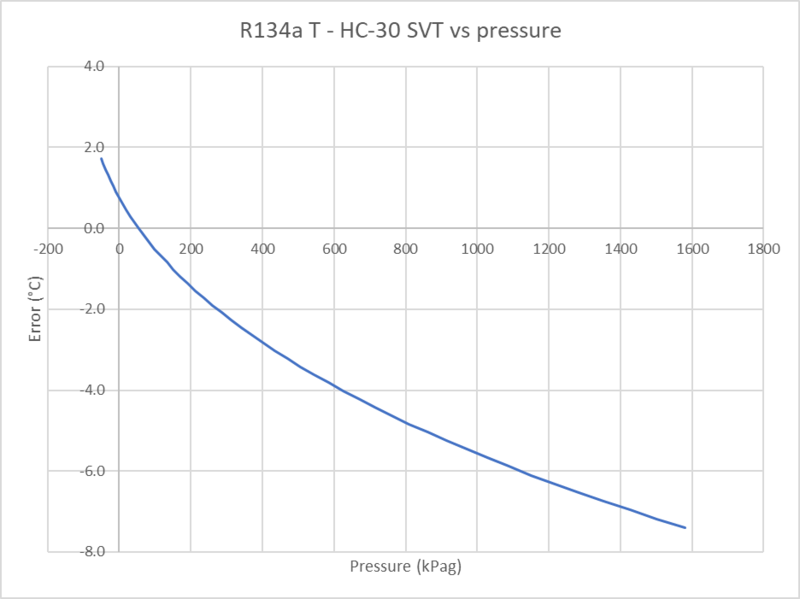 It is worth noting that on a hot day, evaporator superheat was measured with the original R134a charge at 16° which if we assume the TXV was not defective, indicates probable gross lack of refrigerant. The loss of refrigerant may just be low rate loss through hoses and shaft seal over 15 years… and it may still be leaking very very slowly. 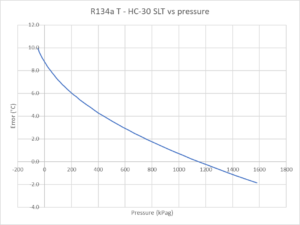 The high side read 1015kPa, 40.6° at the service valve, and indicated subcooling of 2.6° which needs correction for HC-30 to 2.0°. 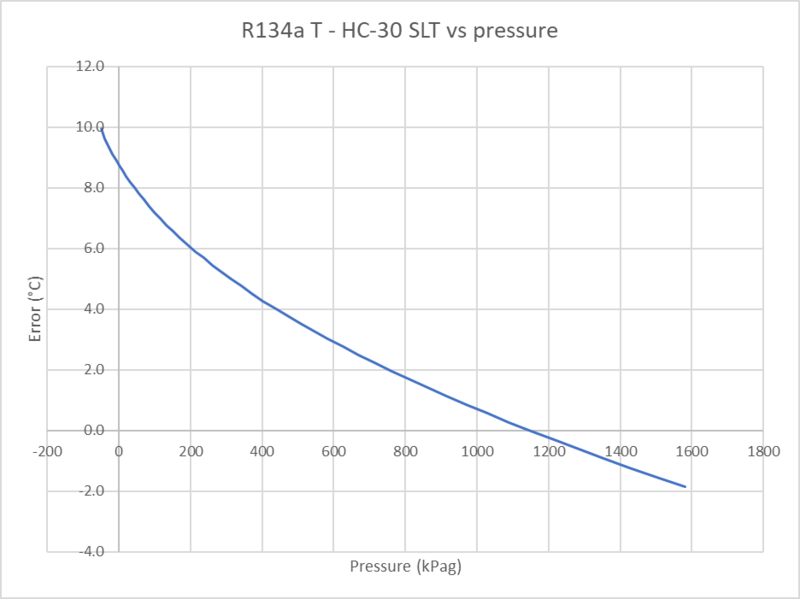 Superheat is lower that expected, possibly due to less air flow that one would expect in motion, but possibly indicating that the charge is on the low side. More observation needed. On a drive test it is working normally.